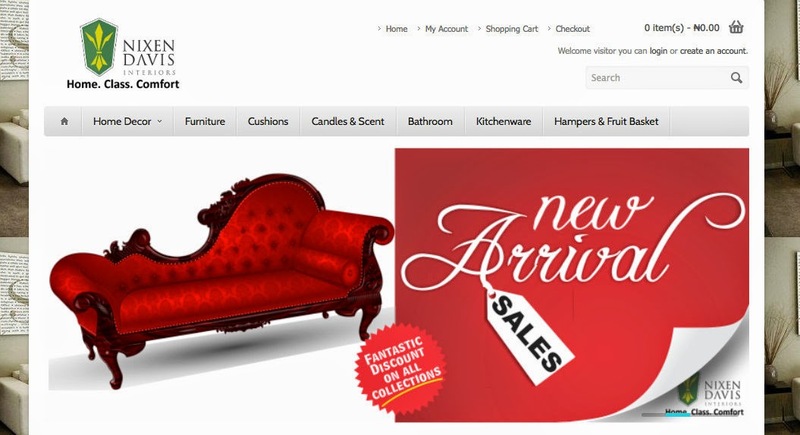 Have you ever consider shopping for furniture, kitchenware, home decor? Then I think you should visit Nixen-Davis Interiors. 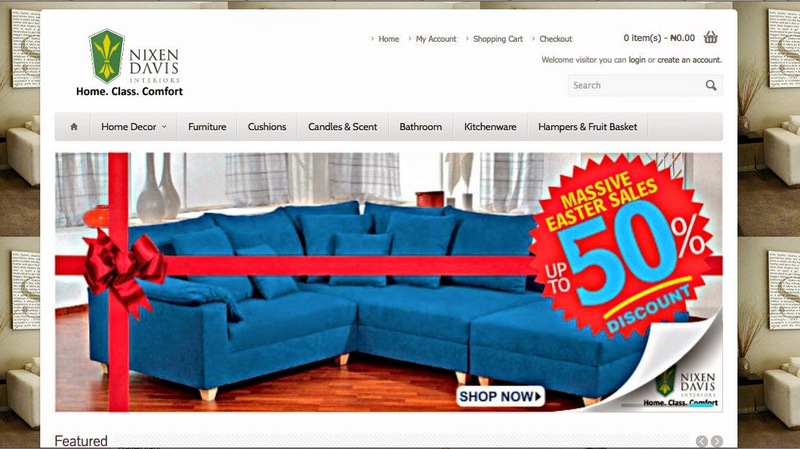 It is a Nigerian website which offers an extensive and unique range of Home decorative accessories, unique furnitures, lightings, cushions & throws, candle & scents and kitchenwares. Nixen-Davis prides itslf in a mix of carefully selected vase & picture frames, potpourris, shower curtains, together with exquisite displays of beautiful fabrics, wallpapers. You can pay for your items in Naira and you have to create an account to shop at the online store, that way you're sure your transactions are secure. By creating an account you will be able to shop faster, be up to date on an order's status, and keep track of the orders you have previously made. Deliveries in Lagos below N10,000 incur a N500 delivery fee. Free delivery applies to orders above N10,000. Orders outside Lagos will incur a delivery charge of N2000 per order and for all orders up to the value of N20,000 outside Lagos will incur a delivery cost of N1500. Thereafter delivery is free of charge, with the exception of large/heavy items which will be priced on application. If you're not happy with the products you have received, you can return it and you'll get your refund. Simples. Nixen-Davis collects information from customers so that they can successfully provide you with current services and products. Information required can include the full name of the customer and the recipient, email address, invoices address, delivery address, contact phone numbers. When you create an account you consent to receiving electronic communications from Nixen-Davis Interiors about order status updates, account status updates, correspondence relating to your orders or account as well as special offer information. In addition Nixen Davis Interiors offers a personal shopping and sourcing service together with wedding gifts, just because gifts and gift coupons. Why not give Nixen-Davis Interior a try?